A small simple pergola, creating a vertical framing element for a beautiful outdoor kitchen. 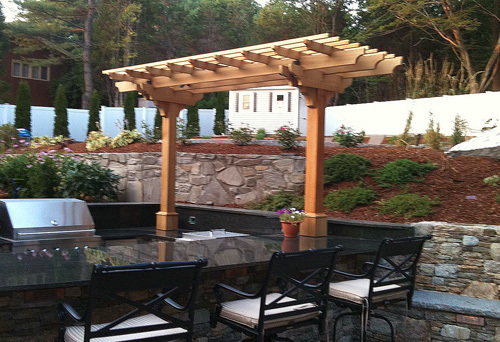 These pergola kits are inexpensive and help to define the outdoor room. Often they are used to hang shade cloth from to create a sun-protected area.